Registration is underway for two Parks, Recreation & Cultural Resources (PRCR) programs for young children. The PRCR Department will offer Preschool T-Ball to kids ages 3-5 on Saturdays, March 30-May 11, from 9-9:45 a.m., at Tyler Run Park, 830 Pineview Dr.
Start your child early in the great American pastime of baseball. 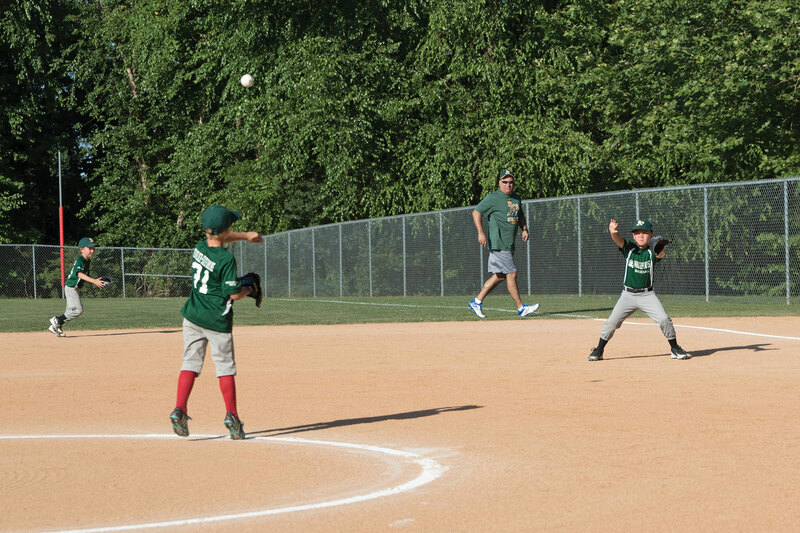 Players will be taught the basics of the game including throwing, fielding, batting and running. They will also be taught the value of respect, teamwork and appreciation of the game. Softer balls and bats are used. Hitters hit off a rubber tee with the help of a coach. Don't miss this great opportunity to give your future star the chance to have fun enjoying the outdoors with friends while learning the great game of baseball. The cost is $25 for Wake Forest residents and $40 for non-Wake Forest residents. Parent participation is encouraged. Soccer Rockers will be available to kids ages 3-5 on Saturdays, March 2-April 6 and April 27-June 1, from 8:45-9:45 a.m. at the Flaherty Park Community Center, 1226 N. White St. Participants will be taught the basics and fundamentals of soccer. Directed by Margot Provencher, former collegiate soccer player, participants will make new friends while learning teamwork and sportsmanship. The cost is $80 for Wake Forest residents and $95 for non-Wake Forest residents. Online registration for both programs is available at https://wakeforestnc.recdesk.com. For more information, contact PRCR Program Superintendent Monica Lileton at 919-435-9563 or mlileton@wakeforestnc.gov.